We are pleased to announce an Urban Sketchers Workshop in partnership with the Seattle Art Museum. The event is tied to the upcoming exhibit Modernism in the Pacific Northwest featuring the work of the late Seattle artist Mark Tobey and other leading figures of the modern art movement that took place in the Northwest in the late 1930s and 1940s. 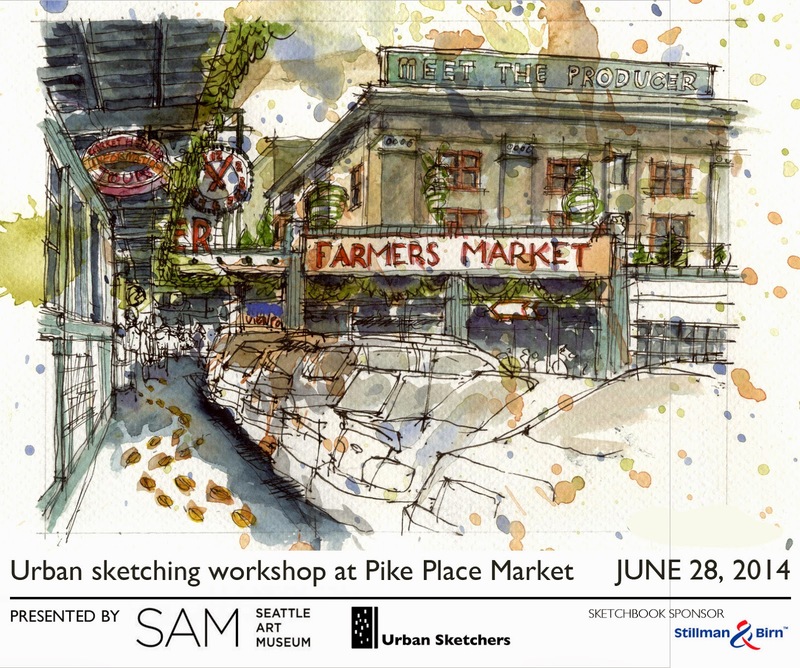 The workshop includes a tour of the exhibit and a hands-on field sketching session at Pike Place Market led by Urban Sketchers instructors Gabriel Campanario, Frank Ching and Gail Wong. During the workshop, participants will gain valuable sketching tips to draw on location —from perspective and composition to watercolor basics— and channel Tobey's spirit of sketching at the market. Sketchbook sponsors: Stillman & Birn.